Just finished the next order in line and thought I would show it off. 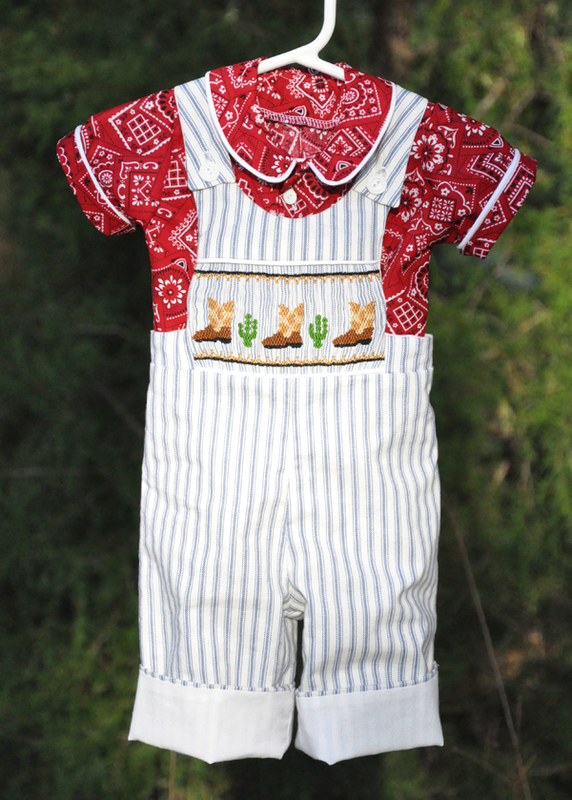 One of my customers ordered an outfit for a newborn to 3 month old baby that had to be in a western theme. Here is what I came up with…Like it? Oh my heavens – that’s SMOCKING! Wow! It’s (a) adorable and (b) really impressive. I am in awe of your mad needlework skillz. That’s fantastic! 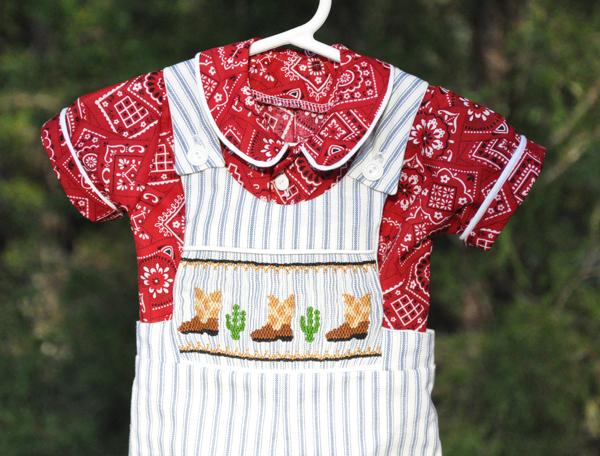 Love the cowboy boots and the whole design!